Time flies when you work like a maniac – have I actually been teaching for 11 years? It feels fitting that this last day of classes is a hot June day. Although the last day for three months on which my alarm will go off at 5:23 a.m. (a major cause for rejoicing, to be sure), I’m not feeling celebratory. I spent a lot of the weekend grading final assessments, and the results were disappointing. In all my classes – both Geometry and Algebra 2 – I created 4 different assessments. 10 questions, 10 points each. Open notebook. Cooperative. The students took 2 class periods to finish them. The topics were posted on the board in advance. There was an overnight between the start and the finish (I said that already, right?). The questions were Regents-style – things they have seen before. To be honest, I was astounded that the results weren’t better, given the latitude I allowed the students in getting support. As anyone who knows me can attest, I take these poor results very personally, and reflect as a matter of course on what I can do to help my kids. But to be honest, I’m upset that my students’ desire for good grades (I know they care very much about this) did not evoke a correlating effort to do well. I mean, they SAW all the questions, and had an evening to study/procure resources/get help in order to finish their assessments the second day. But this is not what happened. I’ve got to let it go for now. Grading went late into the evening, and I’m still tweaking. Late panicky emails. Can’t you adjust my grade? You are my favorite teacher, after all. I know I don’t deserve it. Sigh. The biggest lesson I need to work on teaching? Doing whatcha gotta do. So these last-minute pleas are not necessary. I remember that my class is way down on the list of priorities for almost every one of my students – just a fact. We did a wonderful exercise when I was in the NYC Teaching Fellows training program – we folded a piece of paper into 4 rectangles, and in each rectangle wrote one importantly memorable thing about high school. Guess what? No one wrote about their math class. 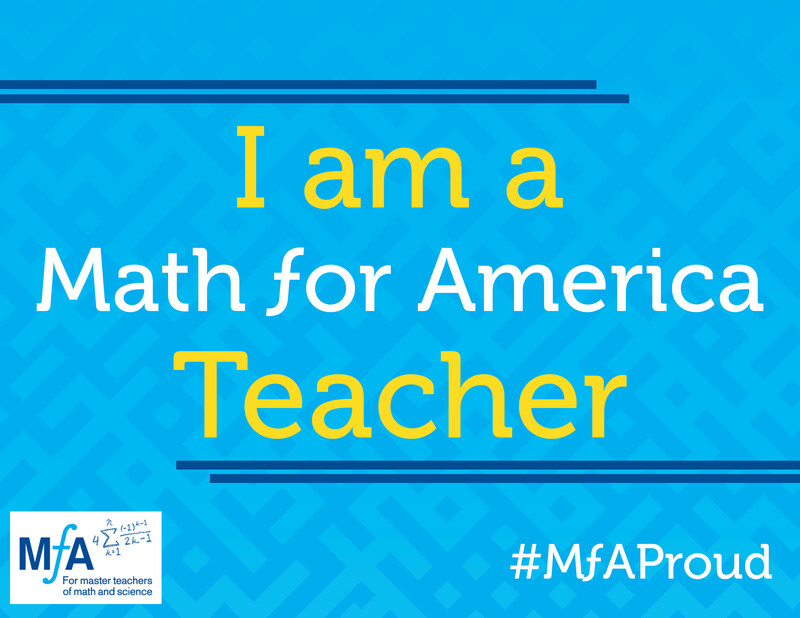 I remember my high school math classes and teachers pretty clearly (I am Her Mathness, after all) – Mrs. Forbes and her exacting proof standards, Mr. Cohen and his bad jokes and comb-over, and procedural teaching of Calculus – and I remember that I enjoyed math and was very good at it. (I credit my becoming a math teacher to my junior high school Algebra teacher – tough loving Mrs. Adams, who awed all us south shore of Long Island white students with her Black Power watch.) But when I think ‘high school’ – the good and bad things it meant to me – those are not the images that rise up. And I’m a math teacher. I need to remember that in the teenage brain, math class (for the very vast majority) occupies a very small corner. I spent the day going over the final assessments with my classes, and answering their specific questions. The temperature rose throughout the day, and despite the tower fan I brought in from home, the room became barely tolerable, with an occasional hot breeze blowing across from the room across the hall. The kids, predictably, became quieter and less energetic throughout the day, and I realized at the end of my 5th class that I had been talking for HOURS. I have a brief respite, and then teach for four hours more – 2 hours of an afterschool Regents prep class, and two private students. Luckily, this second part of the day is spent in air conditioning. And because the interactions are in much smaller groups (I have six students in the afterschool class), my teaching has a better chance of being efficacious. Home at last. I go through more messages, review the last few work submissions (delayed by absences due to illness and personal circumstances), and make final grade corrections. I make sure ‘comment codes’ are added to as many grades as possible, and, even though it would be LOT of extra work, I regret not being able to write my own comments; I’d like to be able to express something personally to each student and family – to let them know that I saw every single one of them in the classroom, even if I was not always able to meet everyone’s academic needs. But (a) this is not school policy, and (b) 168 personal comments? Yikes! Finally finished, and tweet out my joy. I’ve got 2+ weeks still to work, but teaching classes and grading (and seeing the results of my teaching) are finished for the 2016-17 school year. I have many regrets, and a laundry list of things I wish I had done, and I’m setting new goals as I am closing the book on this school year. But that sense of liberation – aaaah. I want to give the students as many chances as I can to complete work and demonstrate mastery, but at the end of the term, this turns into work being done at the last minute and students scrambling for credit and points. This summer, I want to come up with some tools – some specific artifacts (individual tracking sheets?) and other more diffuse classroom cultural norms – to help students take a longer view of the term (and the entire year, for that matter). That said, there are several students who made significant efforts in the last 3-4 weeks of the term to turn the tide, and were successful. I’m happy that my systems and encouragement worked for those children. Some days it was difficult to not be angry at the advantage I perceived my students as taking. I needed to remind myself repeatedly that they are teenagers, and that even though high expectations are always a priority for me, these expectations may need to be modified for their maturity level. What am I looking forward to? The next two and a half months!!! I began discussing plans with some colleagues to run professional development next fall using modules from Teaching Tolerance. I will be working with two science teachers – we committed last spring to raising awareness around racism and diversity issues in our school, and thus far have seen the formation of the Midwood High School Social Justice Club. We’ve got the kids moving in the right direction – next year, our fellow teachers. I’m pleased how my relationship with these two women has grown. I did a better job this year of SEEING my students. Next year, I want to improve further, and think about how my pedagogy can be more culturally responsive. I’m not clear on how that will manifest itself in my classroom – this is the work for me to do. My latest scan revealed that things are stable medically – my new medications are working in the right direction. I continue to feel good, and am deeply thankful for that. I try to use my health issues as a reminder to live well in the present. And the present is that vacation is almost here!